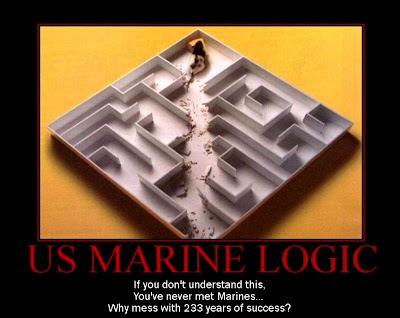 Firstly, Happy 233rd Birthday to our United States Marine Corps! On November 10th, 1775 our nation created the Marines by declaration of the Continental Congress, and we have been doing our duty with pride and discipline from then until now. This is a special day for all Marines. Semper Fi! With the economic cancer quickly moving from homes to cars, the first test of what our new President really means by “hope” will be determined by how he responds to the crisis in Detroit. Electric and hybrid cars are certainly part of the answer but improved engine technology is just the tip of the iceberg. With GM stealing from the it’s employee pension plan last week to make debt payments on its headquarters building, no smart car is going to save them now. The auto industry in America is a dinosaur propped up by government invention. The 1979 bailout of Chrysler, the same one that made Lee Iacocca a household word, hurt our country because it prolonged the agony. Those chickens are now coming home to roost. Nothing less than a 21st century approach to car manufacturing can save the auto industry, save our economy, save our environment, and free us from the dependence on foreign oil which has led us, at least in part, into two wars in the Middle East. · If you took all the cars produced in America built but not sold, what economists would call the “structural inventory” of our current system, those cars would fill a parking lot the size of the state of Rhode Island. Michael Dell perfected a flexible system of manufacturing called “Just-In-Time,” which means you only build what a customer has already purchased. This is harder to do with a product as complex as a car, but it most certainly can be done if we are willing to go smaller micro-factories that produce cars in a flexible manner. · The Rocky Mountain Institute has proven beyond a shadow of a doubt that the safest cars are the biggest and lightest ones. Heavy cars only help in head-on-head collisions, which are a tiny fraction of highway fatalities. If you hit another car on an angle or if you hit a tree, you want a car that bounces. What is most important is size, since the critical factor in highway safety is the amount of time your brain has to decelerate. The fact that lighter cars are safer is hugely positive news from an environmental standpoint since lighter cars are, by definition, more fuel-efficient. · Detroit is addicted to producing steel cars. Each plant costs $1.5 billion and is locked into place by the powerful steel worker’s union, which obviously supported our new President. To build light cars, we have to move away from steel frames and towards existing plastic and carbon-fiber technologies. This will require facing down the unions and shutting down large numbers of antiquated plants. But the goal has to be sustainable jobs, not steelworker jobs at any costs. Those outdated plants are at the very heart of the problem we have to face squarely. · It currently takes Detroit over five years to design a new model. Five years ago everyone was rich and gas was cheap. So huge plants were erected to build gas guzzling SUVs and trucks. Last week Ford introduced its newest automobile, the 150 pick-up, to great fanfare. The thing gets 15 miles to the gallon. Flexible manufacturing requires that model design occur in real time. Think about the difference between the cycle time from Steve Jobs to put out a new iPhone and for Detroit to put out a new car. Micro factories producing plastic cars would eliminate the retooling of massive steel plants. Stringent crash-test guidelines are another obstacle. But in the end it will require a different intellectual approach to the design problem. · There is no reason that 100% of plastic or carbon-fiber cars can’t be recycled just like the ink cartridge for your printer. Battery powered cars are great, but has anyone thought about what we are going to do with all those batteries at end of life? Batteries generally get thrown out and are one of the worse kinds of trash. Our new auto industry has to be designed so that we invest the earth’s physical assets once to build the new fleet of cars and that plastic gets melted down and reused over and over again. A government solution to the auto industry crisis that maintains the status quo will jeopardize nothing less than our national security and our fragile world environment. Placating the CEOs who got us into this mess or the unions who have fought tooth and nail to maintain the current system will not solve our economic plight. There is both huge risk and huge opportunity in Detroit. It’s our President’s chance to show the world why we elected him. But to do so he has to completely change the auto industry paradigm, setting our sight firmly on the future rather than grasping at the few remaining straws of the past. Sobering words, but well put. Thank you Tom. It is a pleasure to have you as the guest of the "Vision Blog" today. With these reminders, I ask each of you to write your congressional representatives and share these thoughts with them. Our nation's productivity depends on smarter solutions to the enormous issues we face together. I agree with Jay and Thomas. I like to take my clues from nature. Just like forest fires and hurricanes, sometimes the area just needs a good cleaning out to get a fresh start. It hurts in the short term, but it is the only way to sustain it over the long term. Interesting thesis, Thomas..and I do agree with the viewpoint that lighter, recyclable vehicles are the future. In fact the key to "green cars" are not various hybrid variations or even electric power but vehicle mass and materials. One only has to look at Gordon Murray and his T25 to know he does point at the future but the future is 30 years away because people...consumers...don't get it. Ask yourself this question: if you commuted to work today or say went to a big box retail outlet or what have you, how many vehicles driven had a singular occupant even though that vehicle could hold 1 or 3 or 5 other occupants. I bet the answer would be 70% of those vehicles would have that singular occupant or...why does it take a 4000 lb vehicle to drop off a child to school a half mile away? I read a lot of comments on the present state of the N.A. car industry and so many, many of them are plain wrong that the finger pointing actually sustains the status quo. The key to all this is not Detroit, its not Obama, its not the unions...its the customer or consumer. And that customer or consumer needs to be educated or take on a whole new mindset. I am sitting right now in the regional area of where the birth of the global automotive industry took place and mass production was exploited but not necessarily invented. And what is the biggest challenge facing Ground Zero - Change. Change of attitude; Change of ideals and change of vision. Some of the Local Motors staff also come from areas where that change of attitude never took place and the result is grim. As you have stated, I would not look to GM, Ford nor the government for that change. They've been proven a failure. Start with the people and then go to the companies rather than the other way round if you want permanent results, otherwise we can recycle this post 10 years from now. Lightness is the key.